So, last week I was in Switzerland for a quick two-day holiday. 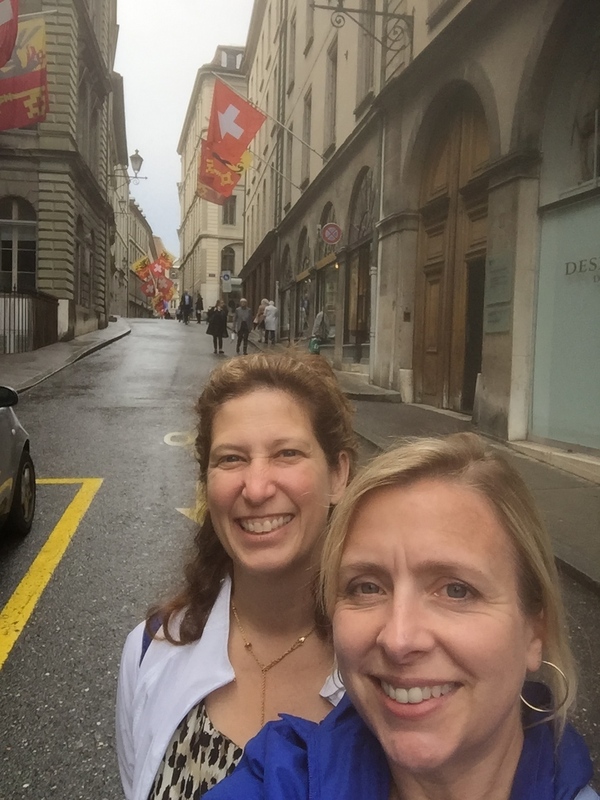 I mentioned in my last post that I was excited about Geneva for two reasons: the CERN research facility, and the opportunity to reconnect with my friend Tamara. Some of the biggest scientific breakthroughs of the last half-century have occurred at CERN. Its focus is unlocking the mysteries of particle physics. In 2012, CERN’s ATLAS and CMS experiments at the Large Hadron Collider confirmed the discovery of a new fundamental particle. The experiments had provided evidence of the Higgs boson, the so-called “God Particle,” which explains how subatomic particles obtain mass. My tour of CERN featured the ATLAS control room, which was kind of interesting. 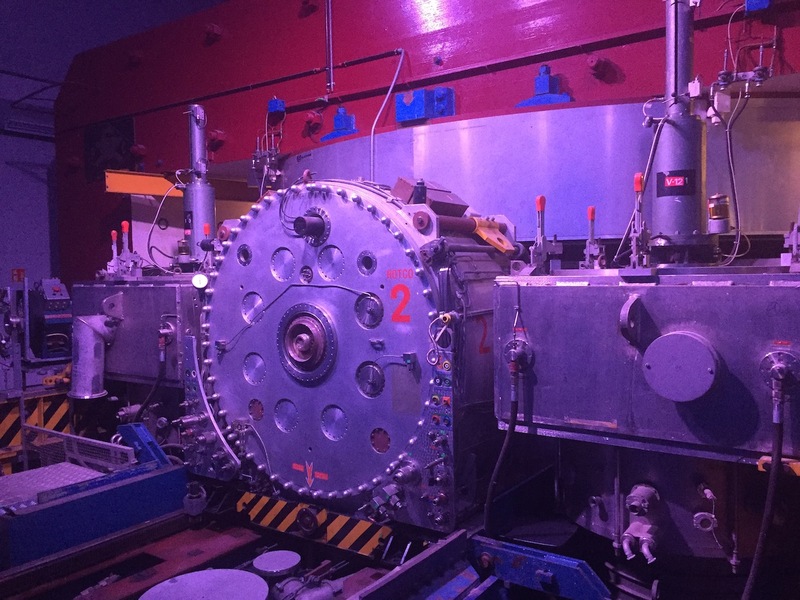 But what really got my wheels spinning was seeing the first accelerator built at CERN—the synchrocyclotron. It was built in 1957, and ran experiments until it was decommissioned in 1990. As I was watching a presentation about this monstrous piece of equipment, I wondered if it had provided the inspiration for the character Doctor Manhattan in the Alan Moore / Dave Gibbons graphic novel Watchmen. (It’s also a movie). The Doctor Manhattan from the book is one of my favorite characters, ever. Here’s a character snapshot: Jon Osterman is a scientist who disappears in an “Intrinsic Field Subtractor” during an experiment in 1959. He winds up reassembling himself, like the pieces of a watch, and when he’s finally done, he has god-like powers. Jon Osterman becomes Doctor Manhattan. The watch, or timepiece, is a running theme with this character. So here I am, in Switzerland, known for its watchmakers. And here’s this equipment, which at the time it was built, might have inspired fears of horrible accidents, doing the unthinkable to the human form. Who am I kidding? The experiments at CERN still inspire this type of fear. I remember reading on the Internet somewhere about a group of conspiracy theorists who are convinced that the work being done at CERN will open up a black hole in the skies over the pastoral Swiss countryside, that will eventually swallow up the rest of our existence. I could go on, but I won’t. Suffice it to say that places like CERN are a sure spark to my imagination, and I’m not disappointed in the time I spent there. So, getting to see my friend in Geneva. Tamara and I are friends from my time in Los Angeles. Actually, back in those days, Tamara, myself, and a third friend, Kris, forged a unique friendship. (Kris shouldn’t be confused with Kristen. I have a lot of Kr-Chr-istens-istines in my world). The three of us discovered that we could travel, hang out, and just plain be together without any of the awkwardness or third-wheeliness that can occur with a group of three. The best way I can explain it is that we seem to become greater than the sum of our parts when we’re together. Kris left L.A. first, and moved to Santa Barbara, but it was close enough that we still saw each other frequently. I screwed that up when I moved to New Orleans thirteen years ago. Then Tamara made the bond an international one when she moved to Paris five years ago. It’s hard to get the trio back together these days, but even as duos, we still seem to be greater than our sum. I saw Kris when I was in California last November, and it was fabulous. It was the same seeing Tamara in Geneva. I could get very long-winded about how brilliant, beautiful, vibrant, and fully-aware both of these women are. They each deserve a better description than I am providing here. But I think I’ll save that for something else, maybe something bigger than a blog post. Instead, I’ll offer the following anecdote; it’s fitting for Tamara and me. So we studied it a bit, and decided it looked enough like Latin, and not like French, and that it probably was Esperanto. I think I burned up a bunch of iPhone data looking up Zamenhof and related Esperanto stuff on the spot. Tamara mentioned how Google Translate can interpret Esperanto, and we both kind of chuckled over that. I could spend an entire blog post on Esperanto, but I won’t. Suffice it to say that for two Americans—who are not among the estimated 2,000 native speakers of the constructed language—noticing a sign in Esperanto is a bit arcane. I love that about our friendship.